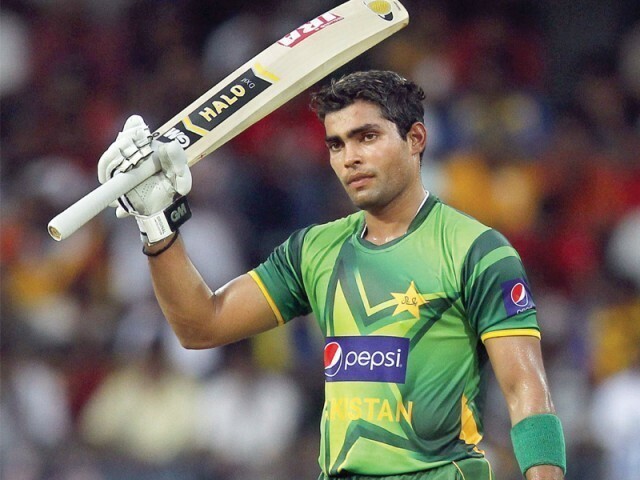 What is it about Umar Akmal that people don’t understand? Manzoor, Zahoor and Saleem Elahi. Imran and Humayun Farhat. Moin and Nadeem Khan. Hanif, Mushtaq, Sadiq and Wazir Mohammad. Wasim and Ramiz Raja. This is not a listicle of the cricketing families of Pakistan, otherwise it would have also included Imran Khan, Javed Burki, Majid Khan, Anil Dalpat, and Danish Kaneria (who are cousins, by the way). If this list is not enough, a simple Google search will yield nearly 162 families in the realm of world cricket. And the reason for mentioning all of this you ask? Well, it is to ask a simple question: Why are only the Akmal brothers considered as being the perennial symbol of one of the greatest cricketing failure? 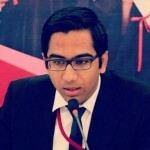 And more importantly, what is it about Umar Akmal that people don’t understand? Well to answer a few of their queries, he is a right-hand batsman, ‘part-time’ wicket-keeper and bats at the fifth and sixth spot most of the time – actually always.But surely, we Pakistanis, even after being a ‘cricket-loving’ nation, love to hate. I guess Samiuddin’s thought process was a little cloudy when he attributed the trait of a ‘clear-headed intent in shot-making’ to Umar. Well, why did he praise him so much? There must be something cooking for the controversy theorists’ thoughts. Umar’s statistics, in all three formats, boast both quality and quantity, if seen as a whole. He only not held back in the longest format, the third of the three Akmal brothers made a swashbuckling appearance in the ODI format with 102 off just 72 balls with a strike rate of 141.66 in his third ODI against the Lankans. Some will say, yeah well, what did he do after that? The answer is, out of the 111 ODIs he has played, Pakistan won 54 and in those, he averaged 42.39. Not bad for a person who bats at number five and six, eh? And as far as the shortest format is concerned, T20, his average of 27.32 might not be great, but it is nearly equal to another specialist batsman Ahmed Shehzad (28.16). Meanwhile, in a total of 62 T20s played, Pakistan won 33 and he averaged a 33.70 in them, better than his normal average. We can safely call him a match-winner for this, right? Apart from his quantitative prowess with the bat, the quality of shots and his untainted ability to produce something out of nothing left his domestic coach, Mansoor Rana, awe-inspired, when he scored 855 runs in his maiden first-class season. “One innings from Umar can change everything. He can demolish, he can win the game in ten overs,” said Rana back in 2008, who I guess was exaggerating Umar’s aptitude. Or let’s just say, for controversy theory’s sake, Rana was forced into praising Umar by the batsman’s father-in-law Abdul Qadir. Moreover, Samiuddin did not start following Umar when he had become a regular in the Pakistan team. In 2009, just after his debut, the well-known writer had already hinted towards the greatness of one the Akmals. This time even I am out of ideas for a controversy. Someone please suggest something regarding this. Oh wait! *the light bulb tings*, the author is quoting the same pundit again and again. Who else has praised this still-very-young lad? And no, this didn’t come from Samiuddin; instead, it came from another Karachi-based cricket pundit, Saad Shafqat. So, the question that still looms in one’s mind is, why is Umar not able to convert his pure potential into something tangible, like centuries or double tons for that matter? For a cricketer who’s played 57 ODIs at the sixth position, a do or die spot, he averages a 36.97 with a strike rate of 88.44. And in the 30 outings at the fifth spot, Umar averages a 35.44 with yet again a staggering strike rate of 80.62. His plea to let him play towards the upper order, where he can settle in and translate 50s into centuries, has been heard on only six occasions – once at one-down and five times at the number four spot. His average at those positions (28 and 14) might not claim him to be a perfect upper middle-order batsman, but it is equally not enough evidence to declare him a failure at those positions. Conclusively, a batsman who promised so much at the start of his career with great numbers and for someone who still shows stark glimpses of his great shot-play on occasions, the question remains, why has he not been given the treatment he deserves by Pakistan? Is it the lack of the wow factor of ‘boom boom’ or is it because of his belonging to the Akmal clan? Pakistan Super League: Let the games begin! Country’s most talented batsman without any doubt , ruined by captains like misbah and Myk. He is the best batsman in the country (limited overs) and his stats ( average and strike rate combo) prove that. These stats are stunning specially when you consider that he is wasted at number 6 or 7!! Umar Akman has more potential than anyone else..but he is a curse as well in ODIs. He cannot built innings and has tendency to give away his wickets. He will have more caught outs at the boundary than lbw or caught behind which shows he can dominate bowlers but cannot get the job done. Trial and error has a limit. My God… Please compare latest statistics and not the glory days stats… He was good, he ain’t now.